Yet as a parent, finding out that school has been canceled can really mess with your day. Suddenly, you have to find a babysitter for your son or daughter. And if you rely on your school’s hot lunch program, you need to make sure your child has a nutritious meal for the day. While you can’t stop Mother Nature, you can have up-to-date information about school cancellations so you have time to plan ahead. Below are a few resources you can use to find out if school is canceled in your area. News channel websites: News channel websites are often a reliable source for information on school cancellations. Be sure to check the channels that cover your area. State websites: State and local level government websites are another important resource for finding information on school cancellations. Most states have a web page dedicated to providing parents and students with readily available information regarding school cancellations. The radio: Growing up, you probably remember eagerly waiting by the radio on the morning of a snowstorm, listening as the static-voiced DJ read out the school cancellation list and hoping the name of your school was next. While this form of notification is likely viewed as antiquated by the younger generation, radio is still a reliable source of information — especially if the Internet goes down. Tune in to your favorite news radio station in the morning to find out if your child’s school has been canceled for the day. Kids couldn’t care less about why they don’t have to go to school. However, as a parent, you need to know the reason why your son or daughter is home instead of learning and socializing with friends. Inclement weather: Namely, snow. Heavy blizzards make driving dangerous, and for some, getting to school simply isn’t possible. Heavy rains, hurricanes, and tornadoes may also result in school cancellations. Power Outages: The second most common reason schools close is because of power outages. 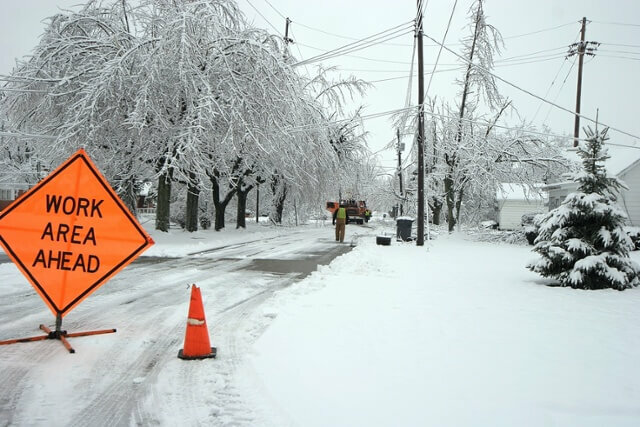 Now, these power outages may be caused by weather conditions that aren’t severe enough to warrant a day off, yet without lights, heating, air-conditioning or Internet, having school in session may not make sense. Utility issues: These can include water main breaks, boiler problems, and sewage system malfunctions. Depending on the nature of the utility issue, school may be closed for a day or a week. Emergency: Lastly, school may be closed for a day, a week or indefinitely in light of an unexpected event. Types of emergencies that may result in school closings include fires, food poisoning, infections, flooding, bomb threats, and violence.